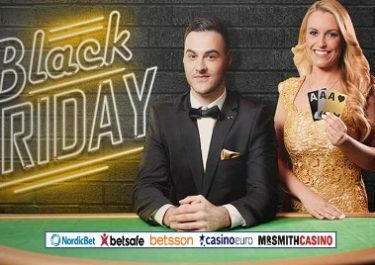 Betsson – Double Mini Mystery Jackpot! Get your jackpot winnings doubled! Winning a mystery jackpot at Betsson just got twice as fun and rewarding as they will double all Mini Mystery Jackpots on Grim Muerto, Troll Hunters and Super Flip. Every mini mystery jackpot won will be matched by Betsson with an equal amount in bonus money, that is like winning twice. And the best part is that players can do this repeatedly during the promotion period. Don’t forget that a mystery jackpot can drop anytime, even if you don’t win on a spin. OPT-IN on the promotion page is required. Minimum bet is €0.20. Mini mystery jackpot won between Mondays and Thursdays will have the bonus money paid on Fridays by 18:00 CET and those between Fridays and Sundays on Monday by 18:00 CET. 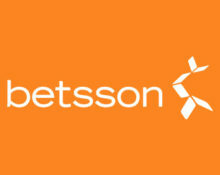 Players will be notified about the pay-out via their Betsson inbox. Wagering requirement is 5x bonus amount within five days subject to the Betsson Bonus Terms and Conditions. The bonus cannot be wagered on the following games: Aliens, Big Bang, Blood Suckers, Castle builder, Dead or Alive, The Wish Master, Tower Quest, Eye of the Kraken, Eggomatic, Pearls of India, Scrooge, Champion of the Track, Devil´s Delight, 1429 Uncharted Seas, Super Monopoly Money, Wild Gambler, Kings of Chicago, Pearls of India, Robin Hood, Zombies.